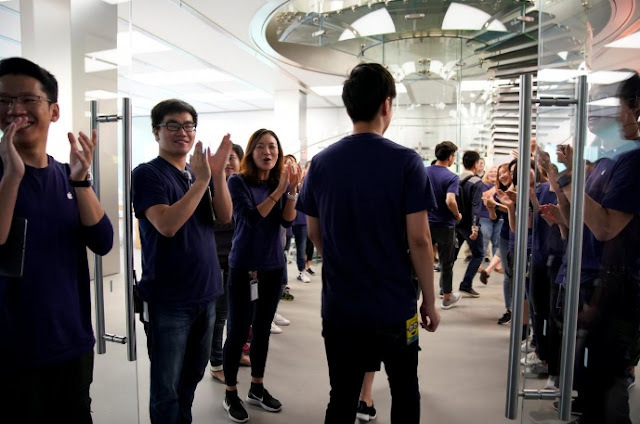 Staff members applaud customers as they arrive to purchase Apple's new iPhone 8 after it goes on sale at an Apple Store in Shanghai, China September 22, 2017. SYDNEY/TOKYO - Apple Inc’s launch of iPhone 8 kicked off in a less lively mood in Asia, versus previous debuts, as fans held out for the premium iPhone X due out in early November. Hundreds of people usually gather at Apple’s Sydney city store with queues winding down the town’s main street, George Street, when there is a new product release. But there were fewer than 30 people lining up before the store opened on Friday, according to a Reuters witness. 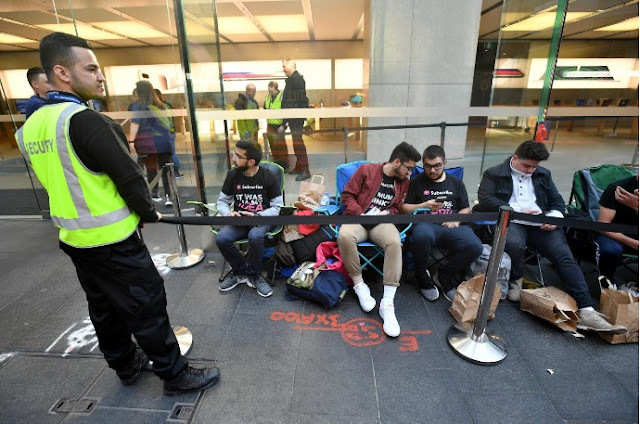 Apple customers camp outside of Sydney's flagship Apple store on the first day the iPhone 8 went on sale in Sydney, Australia, September 22, 2017. “I waited until midnight to watch the launch event with my boyfriend to learn what’s new with this iPhone. Its photograph function is pretty good. So I think I must change with no hesitation,” said 29-year-old consumer Ta Na in Shanghai. The iPhone 8 will only cater to those who want a new version but do not want to pay a hefty $999 for the iPhone X, said iTWire.com’s technology editor Alex Zaharov-Reutt, who did not line up for the launch. The iPhone X is a glass and stainless steel device with an edge-to-edge display that Chief Executive Tim Cook has called “the biggest leap forward since the original iPhone”. “I think it’ll be more lively with more people with the iPhone X,” said Ray Yokoyama, after buying an iPhone 8 in Tokyo. Apple Inc’s launch of iPhone 8 kicked off in a less lively mood in Asia, versus previous debuts, as fans held out for the premium iPhone X due out in early November.